So, I don't really know what happened to me on Friday, but I had a huge urge to just make stuff. Nothing paper-related (shocker). I just needed to purge some creative energy. So, I did! I had an old mason jar that I got from rinsing out a spaghetti sauce jar. Sometimes those jars can be kind of nice. I had it laying around empty for a long time but I just really liked the jar (don't ask, it happens). There are only two jar sauces that I buy at this point and they are both from Trader Joe's, so I know for a fact that this one has been around for some time. I googled some images for sauce jars and I think this was the brand as it is the only one I can find that uses the square-ish shaped jars. Anywho, I was on Craftgawker and found a really cute tutorial on how to make a dishwashing liquid dispenser from a mason jar. That tutorial uses a regular 3-piece mason jar like the ones I pimped here. Being that I had this one laying around I decided it'd be great to use as a dispenser because it's huge and I wouldn't have to refill it nearly as much as I do my old one. (Which was pretty sad, come to think of it.) Aaaaand, the lid for this jar is one piece so, it's much easier to do. Make a hole right in the center of your lid with your awl. Make it as wide as possible. With your pliers you will begin to snip pieces from the jar until your hole is wide enough to accommodate the widest part of the soap pump. Once you're there just make sure your hole is as smooth as possible by snipping away all the pieces you've cut. Paint your lid as cute as you like. For the base layer you will need at least 3 coats of paint in order to cover the lid. Let it dry in between. Be patient and it'll all be worth it. 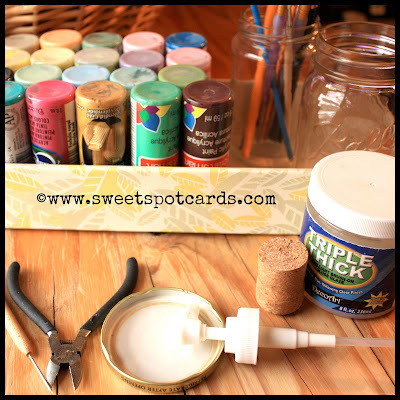 Once the base coats have dried you can decorate your lid with some more paint. 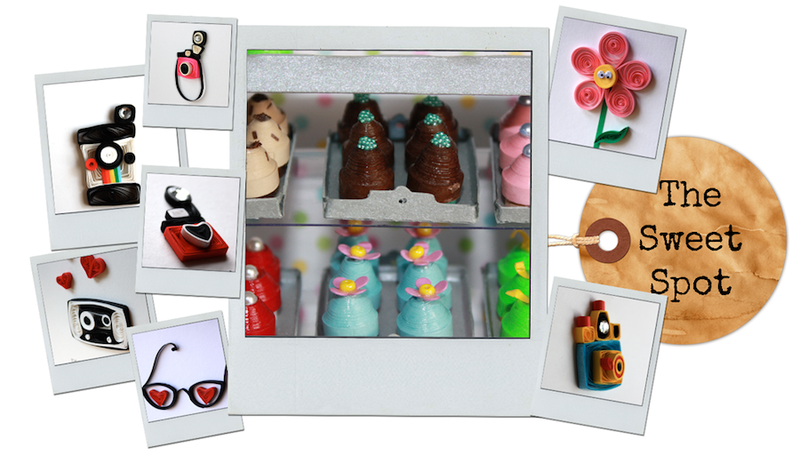 I opted for cutesy, but you can do some really cool designs if you plan. Allow to dry and then seal with a coat of glaze. Paint and seal the underside of the lid as well. I used this brand, which I found at Michael's. The glaze is really important as it will make the lid waterproof. Being that it will consistently be getting wet, you want it to be free of mildew or mold (it is a tin lid, after all). Slice a piece of cork about 1/2 inch thick. (I used a champagne cork.) 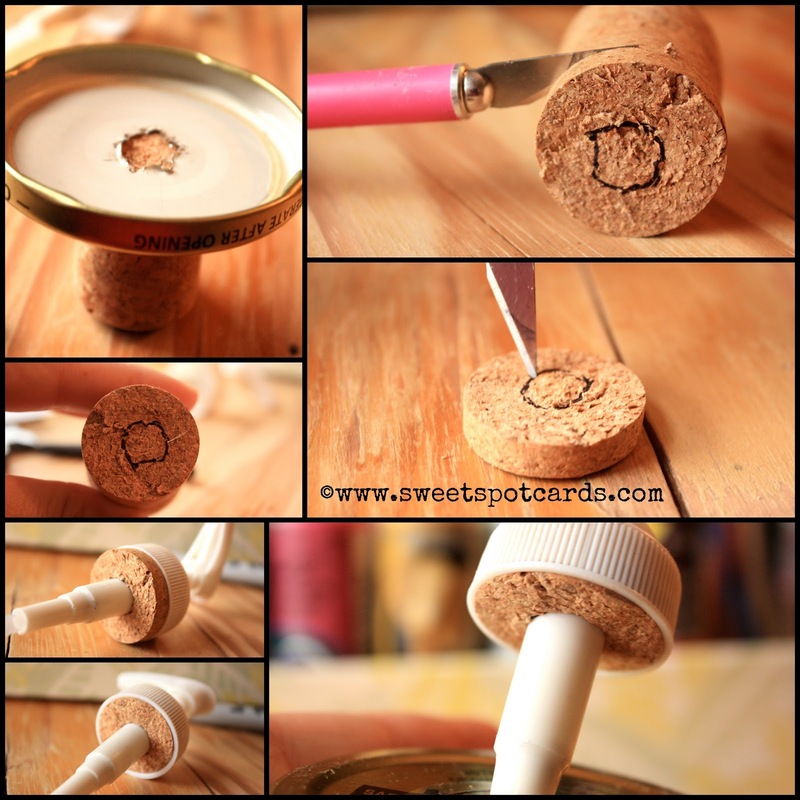 Cut a hole in your your cork the same size as the hole you made for your lid. You can first mark it off with your sharpie pen and then cut it out with your x-acto knife. You will use this cork as a sort of washer in between your pump and the lid. It also gives you a place where to add more sealant to create a tight seal. 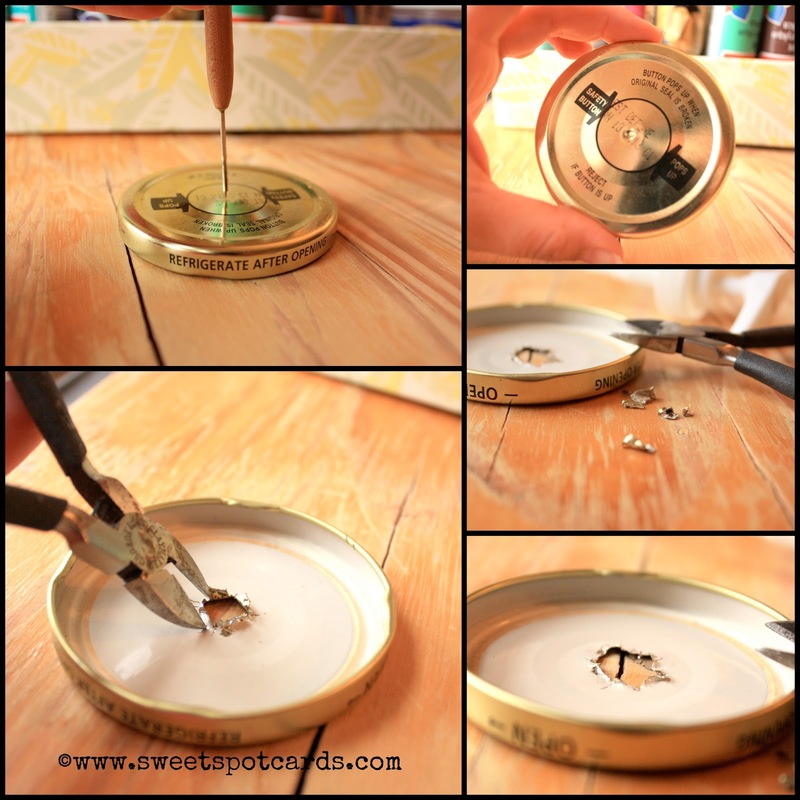 Once your first coat of sealant is dry on your lid you can insert the pump. Now, what I did was use the same glaze sealant to create a seal around the pump so that it adhered. You can also use some super glue to do the same. Use what you have. I didn't buy a thing to make this soap dispenser. 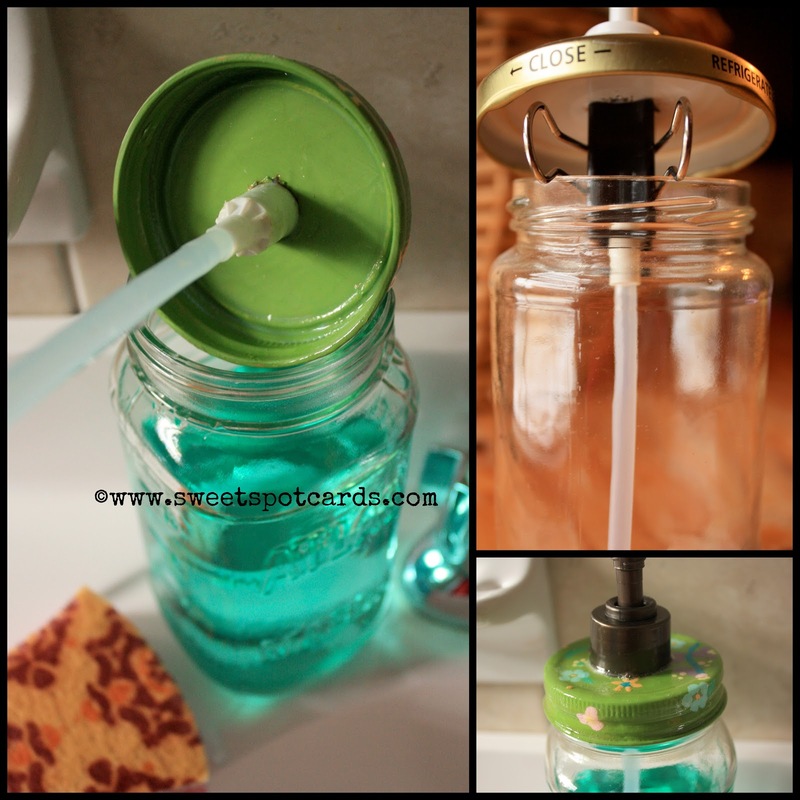 In order to keep the pump tight against the lid while it dried, I used a bulldog clip and hung the pump over the jar until it was set. 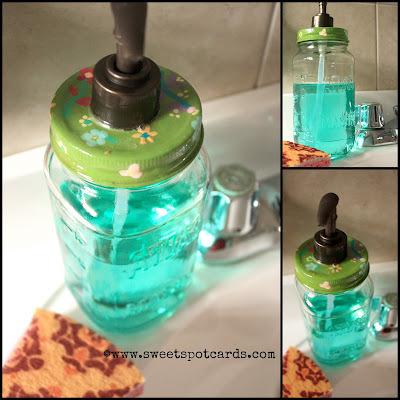 Fill with your favorite soap either in your bathroom or your kitchen. My friends say that it looks like I paid $30 for it in Anthropologie. LOL! But I didn't spend a penny! Have fun making your dispenser and share pics and/or tips! OOH, that is a really cute idea....thanks for sharing.